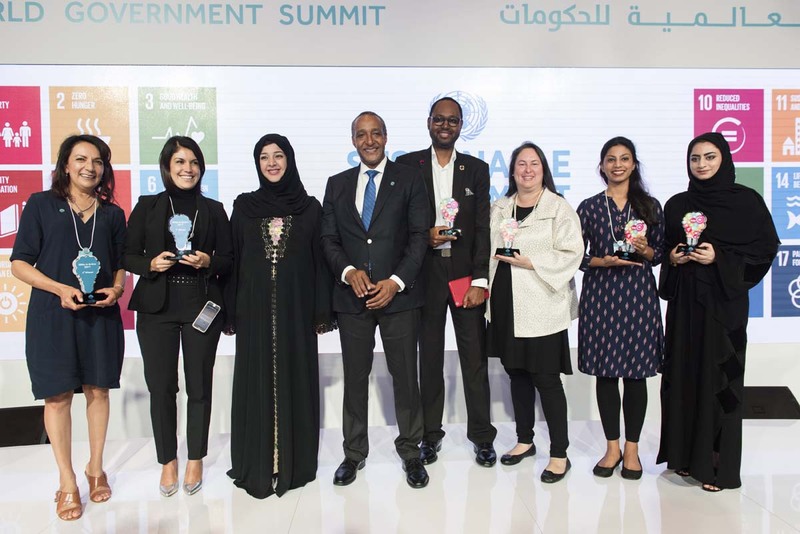 In 2016 the World Government Summit launched the SDG's in Action @ WGS platform, focused on the implementaion of the world's 17 adopted Sustainable Development Goals. 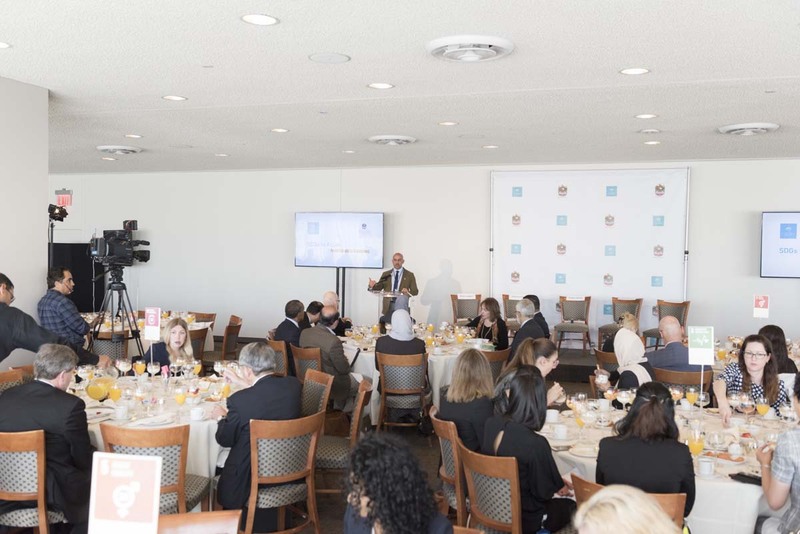 Hosted in partnership with the United Nations, the Wold Bank and the OECD, amongst other local and international partners, the initiative is aimed at addressing the various hurdles faced by countries working towards the SDG goals, and capturing possible solutions. 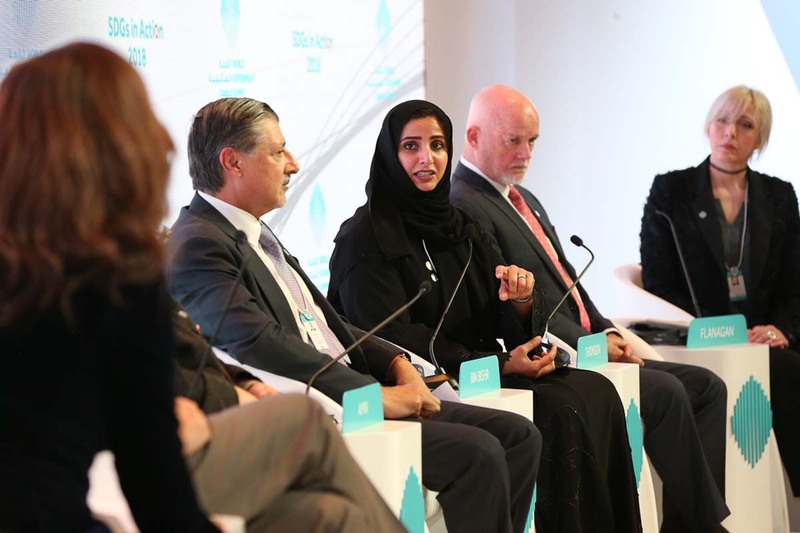 The awarding ceremony will be held at the World Government Summit on 12 February 2019 in Dubai, United Arab Emirates. 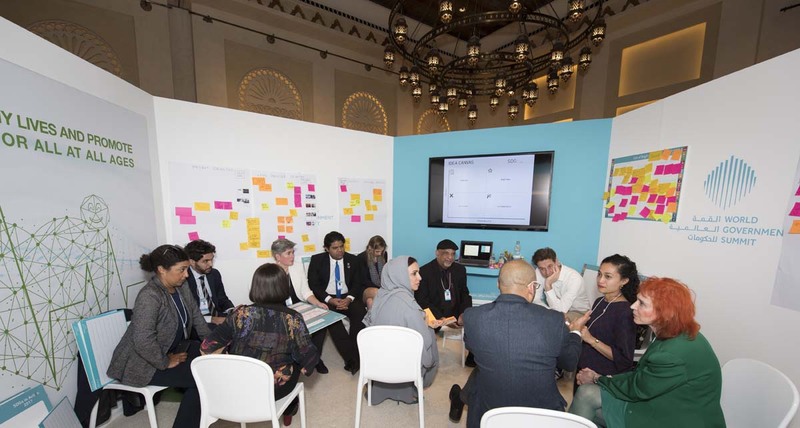 Group discussions addressed the value of partnerships in supporting innovation for the future of the SDGs. 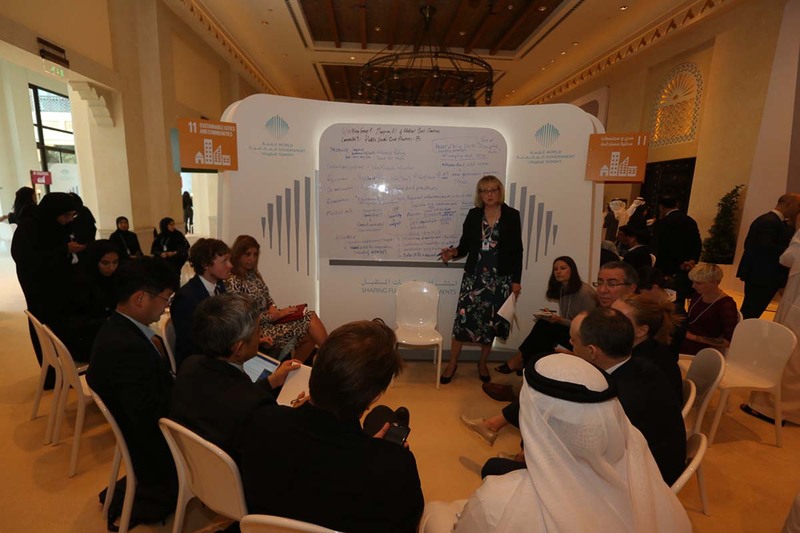 Cluster discussions captured the role of science, technology and innovation in achieving the SDGs, and explored STI driven solutions to accelerate the implementation of the goals. 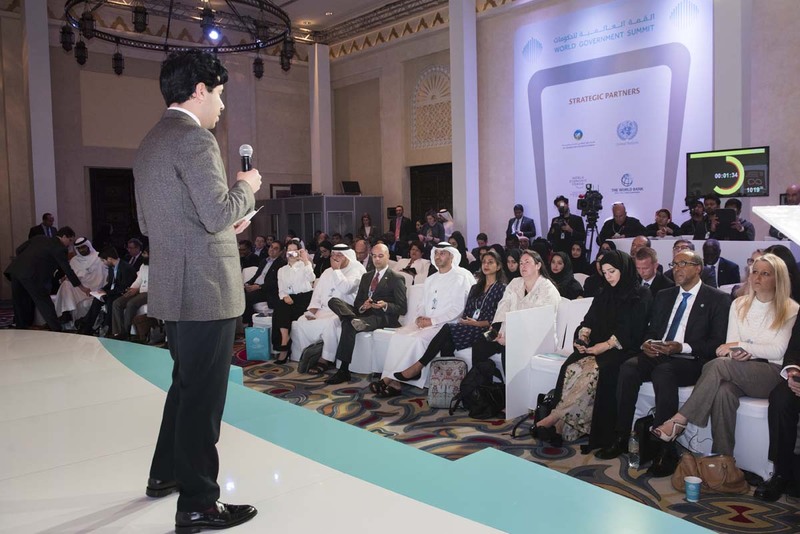 The dialogue focused on the role of monitoring, reporting and financing in implementing the SDGs. 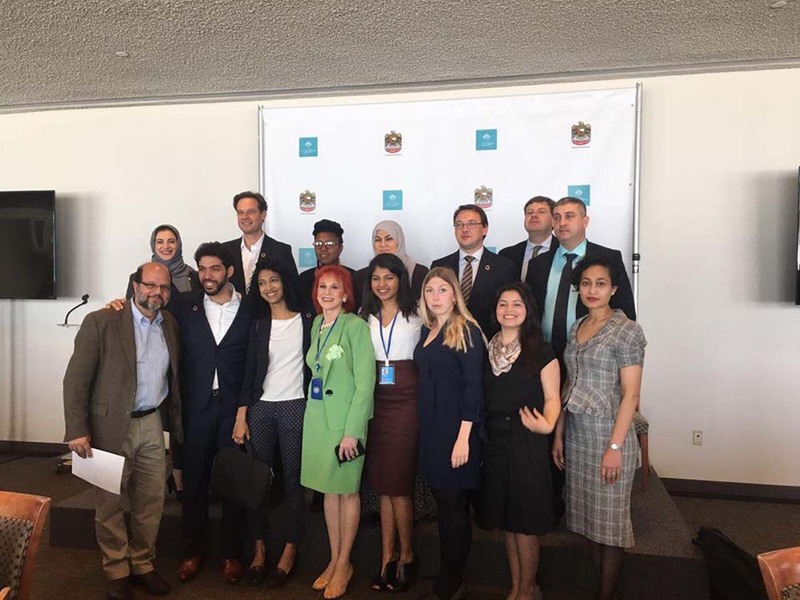 evolved over the years, reaching several United Nations forums. 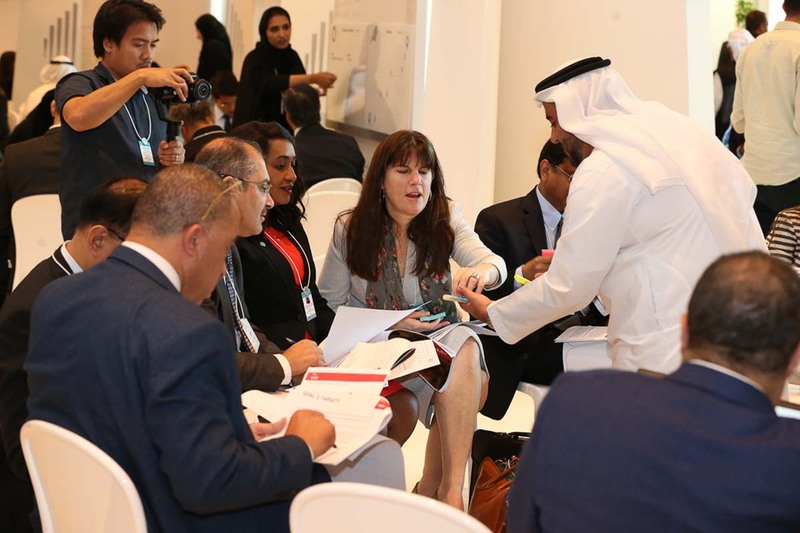 The upcomimg program will feature a combination of plenary sessions, alongside breakout sessions for each of the Global Councils.. 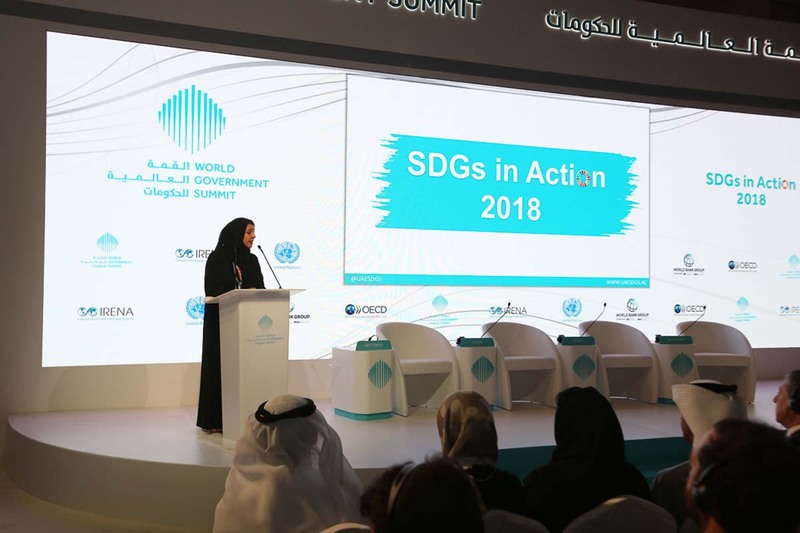 The fourth edition of the World Government Summit welcomed the inclusion of the Sustainable Development Goals (SDGs) as one of its main themes. 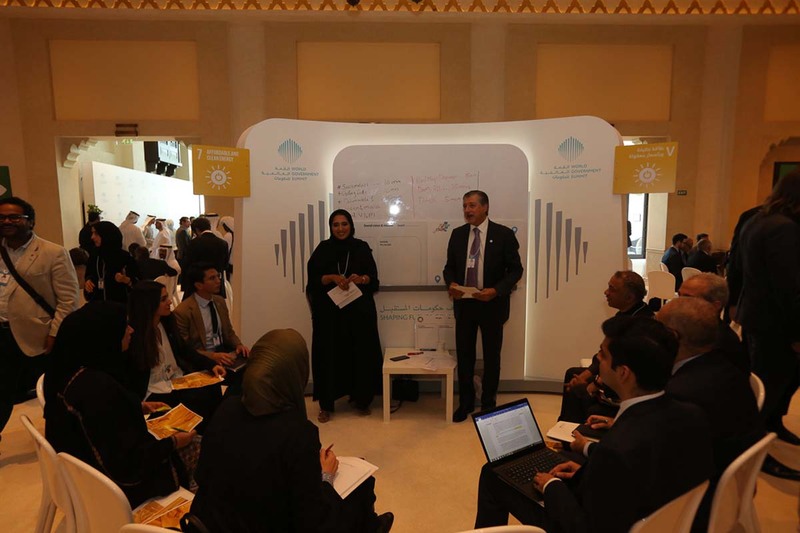 The upcomimg program will feature a combination of plenary sessions, alongside breakout sessions for each of the Global Councils, aimed at fostering partnerships and cooperation among the council members the implementation of their specific goals. 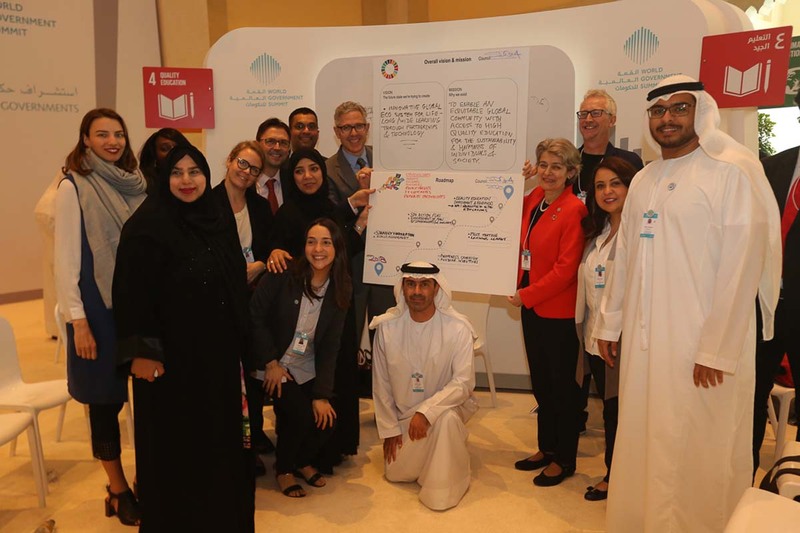 The nince SDGs Global Councils will discuss their implementation plan for the year 2019 and beyond, as well as potential partnerships with additional countries. 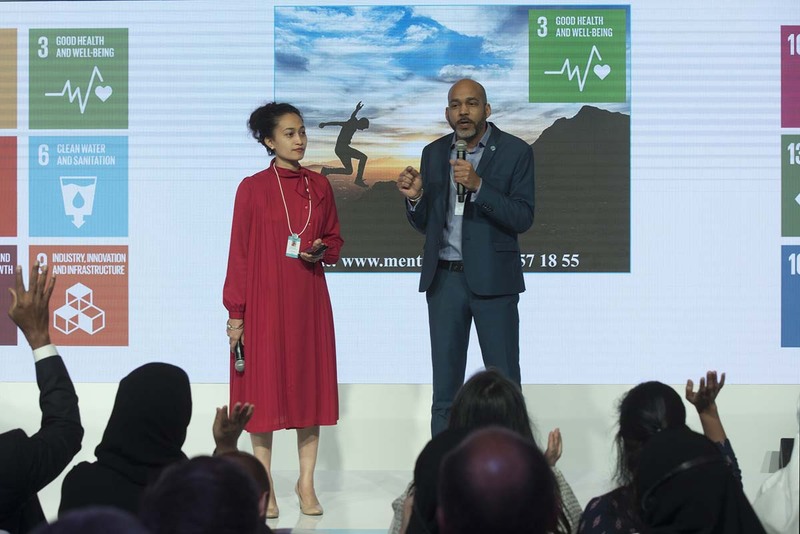 The breakout sessions will also include two crosscutting topics related to the Sustainable Development Goals: Wellbeing and Finance. 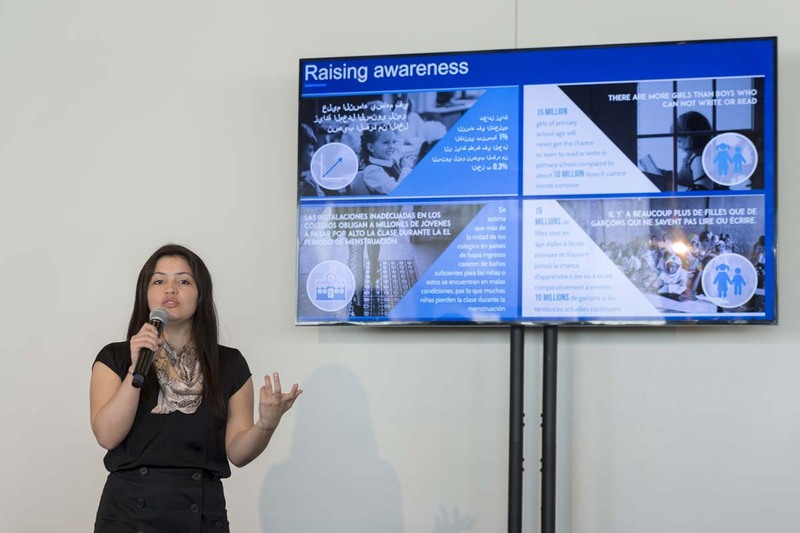 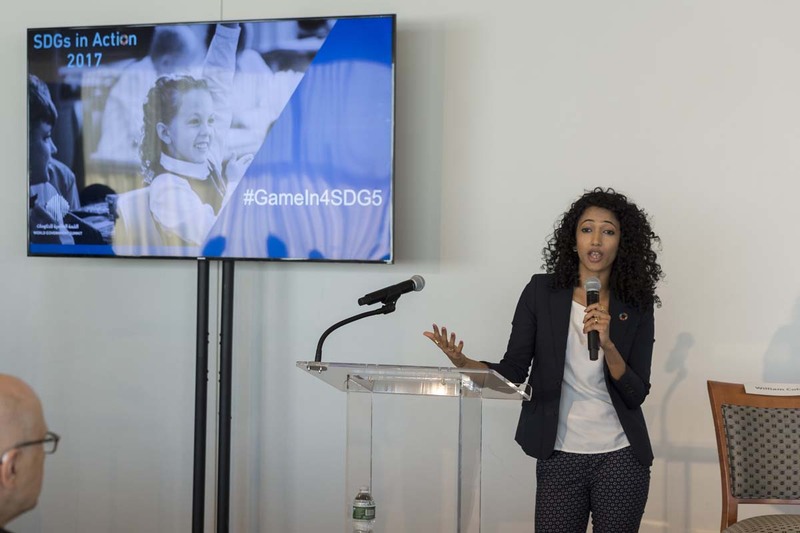 "To highlight the importance of 'Partnerships for the Goals', the 2018 SDGs in Action event focused on partnerships to support innovation for the future of the SDGs. 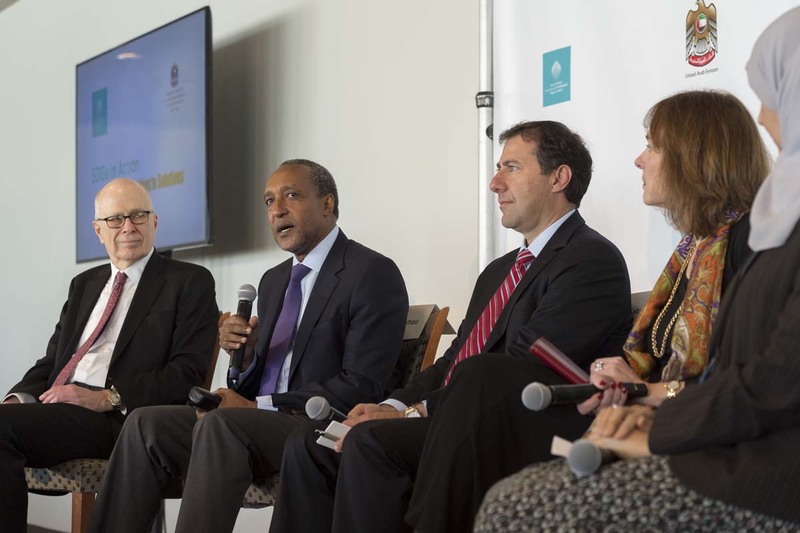 One of the major outcomes was the launch of the SDG Global Councils. 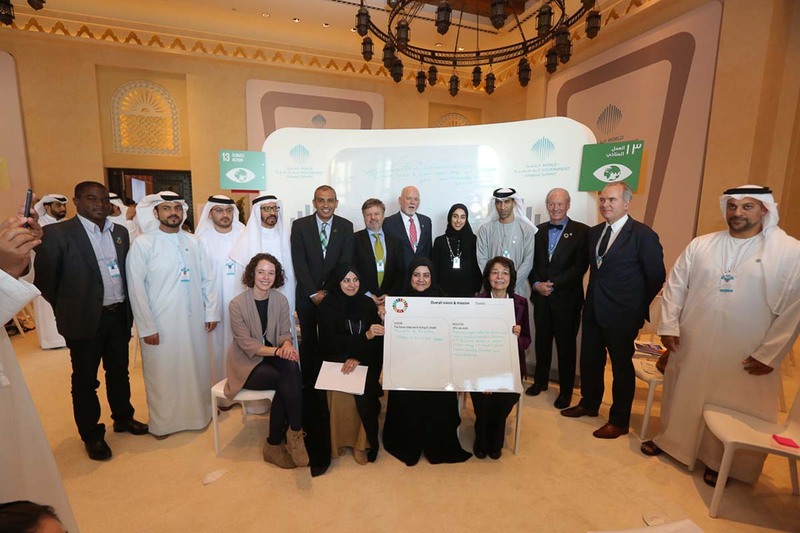 The Councils met during the WGS 2018 Annual Gathering to set the vision and initial plans for their respective goals across the next two years. 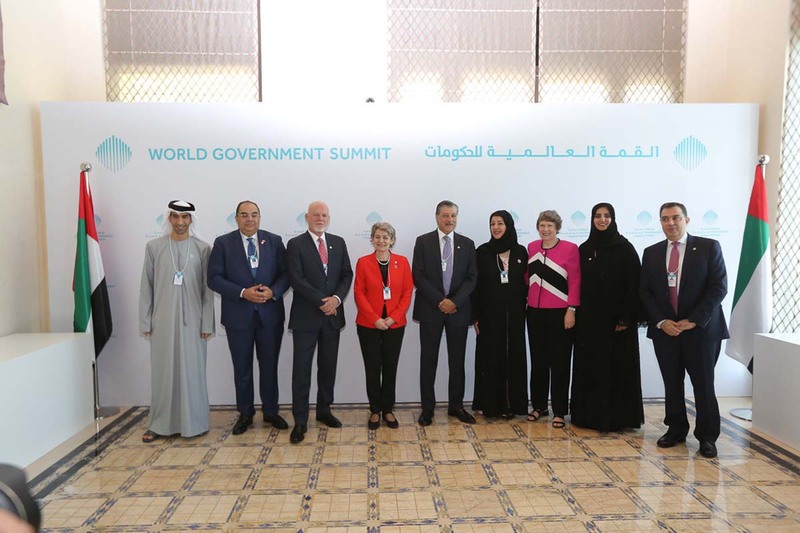 In July 2018, the Councils shared the outcomes of their initial meetings from WGS18 when they were were formally introduced during the Ministerial segment of the High Level Political Forum in New York. 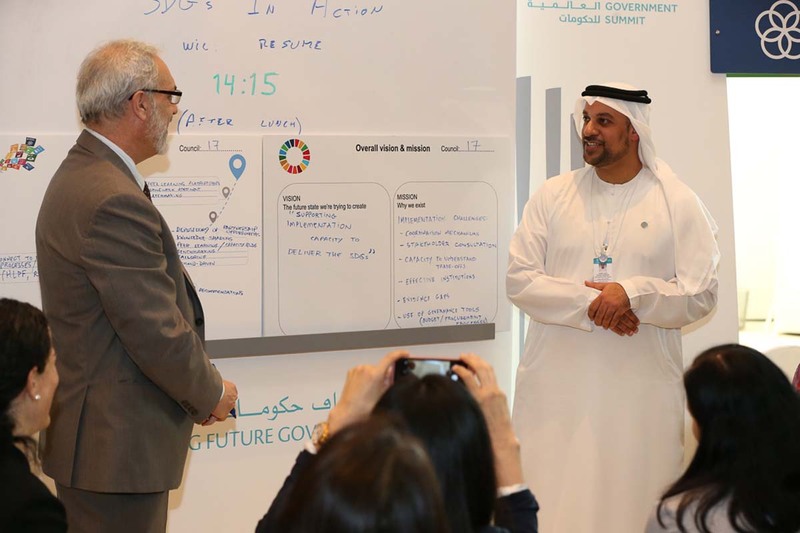 The side session was attended by an international interdisciplinary network of decision makers, including former heads of state, current and former ministers, C-suite executives and senior officials from international organizations, focused on finding innovative solutions for the implementation of the SDGs. " 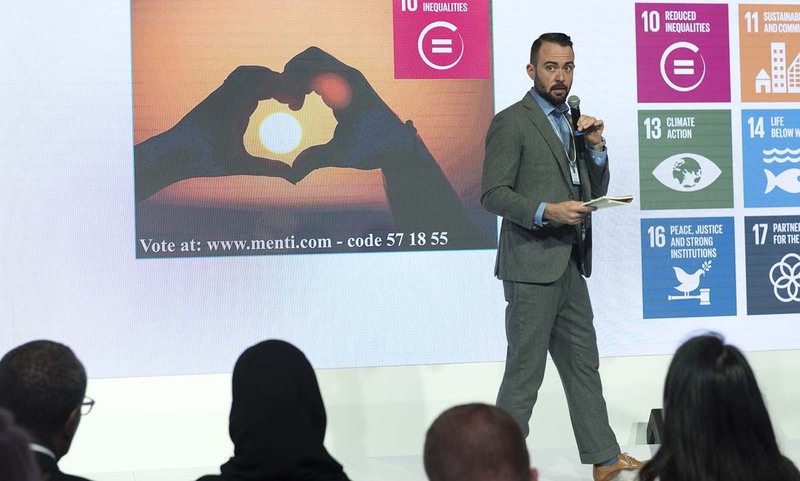 Technological solutions will play a fundamental role in achieving the Sustainable Development Goals, with implementation driven by awareness among governments, companies, and individuals about the options available to them. 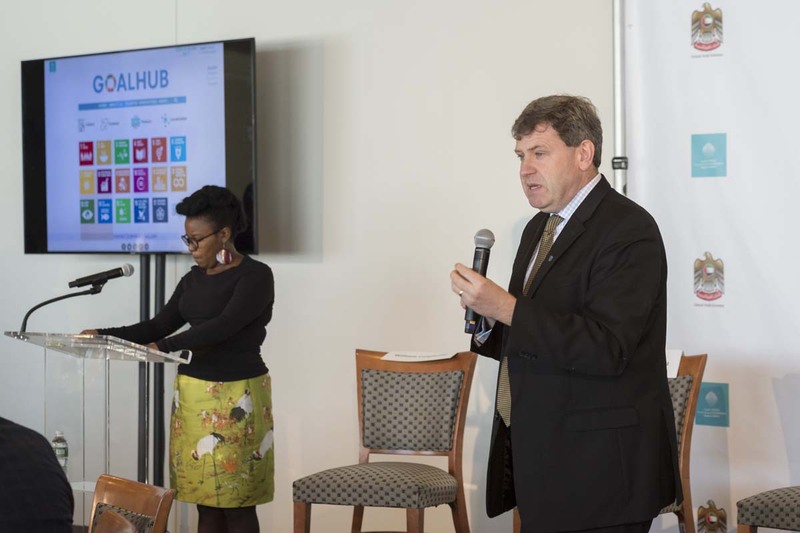 The 2017 “SDGs in Action” programme convened 14 multi-stakeholder teams to identify possible solutions for implementation, of which three were selected as the most promising to take forward: “Health in your hands” (SDG 3), “Game-In” (SDG 5) and “Goal Hub” (SDG 10). 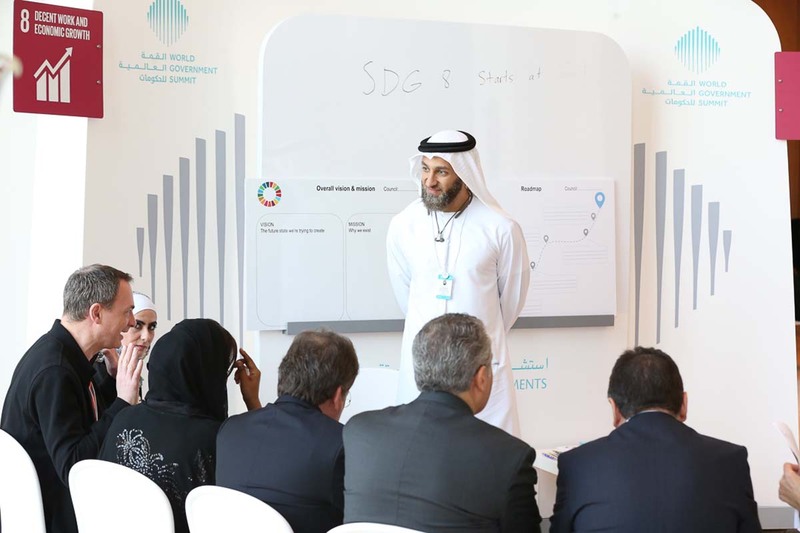 The selected teams elaborated their strategies to further the initial ideas into prototypes and implementation phases. 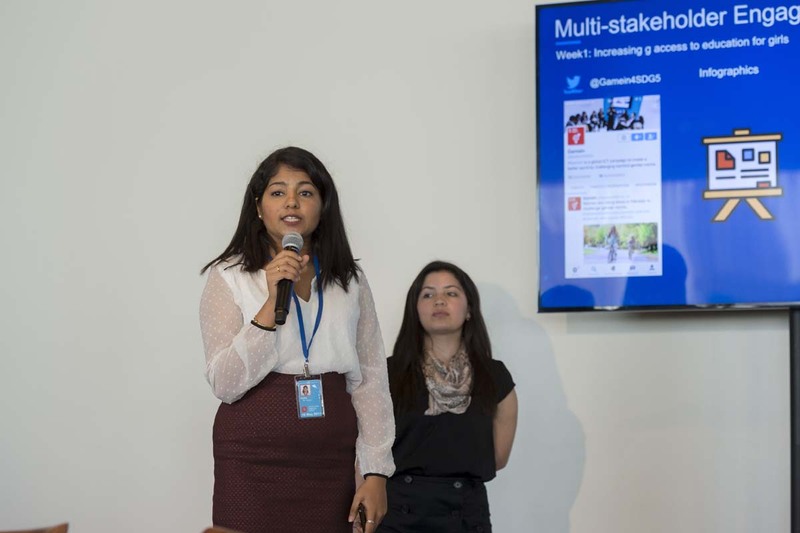 Thier final proposals were shared during the UN Multi-stakeholder Forum on Science, Technology and Innovation for the Sustainable Development Goals (STI Forum) in May 2017. 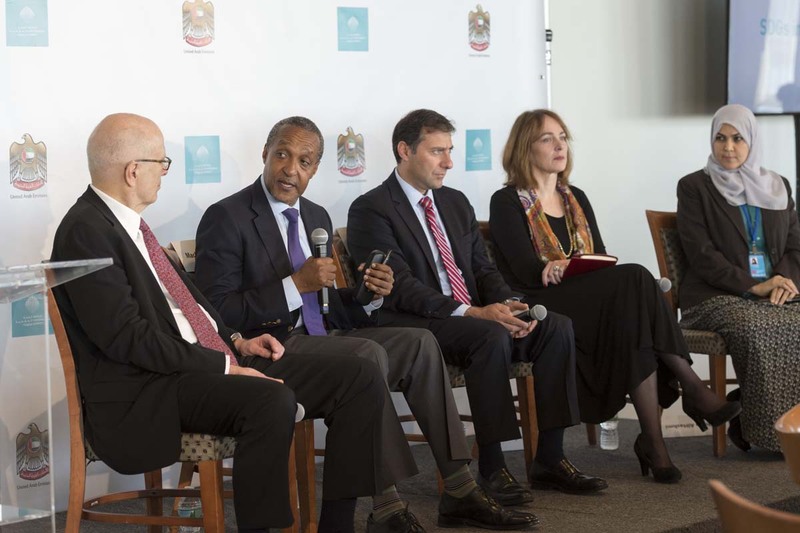 This provided an opportunity to discuss the potential for platforms to leverage science, technology and innovation (STI) for sustainable development, and the interactive dialogue examined how to foster this link, and how to make conversations on STI more relevant to progress in the field, with a view to yielding transformative solutions. 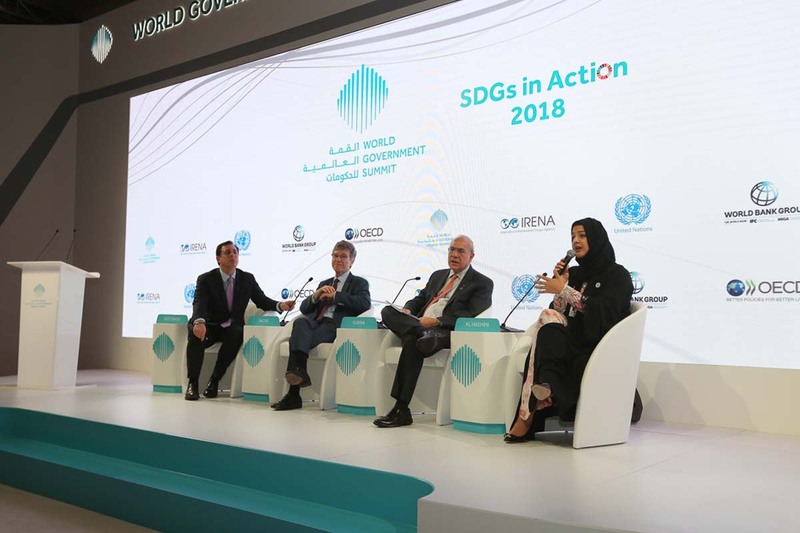 "The fourth edition of the World Government Summit welcomed the inclusion of the Sustainable Development Goals (SDGs) as one of its main themes. 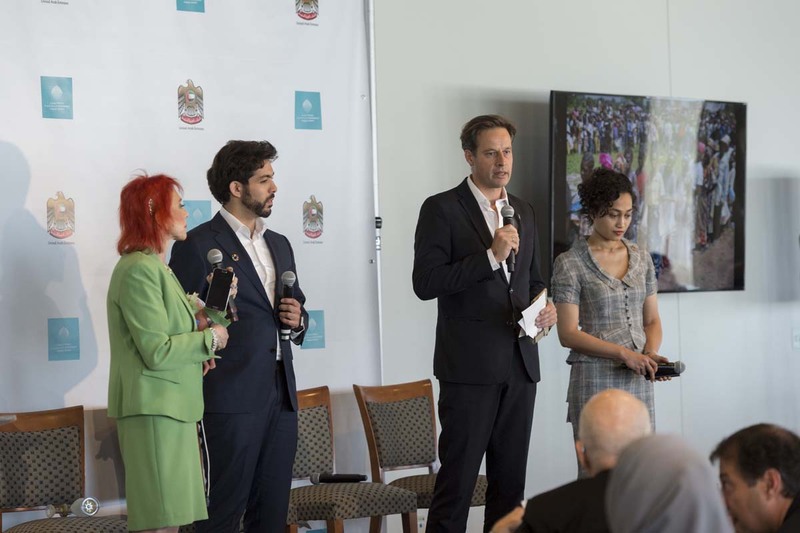 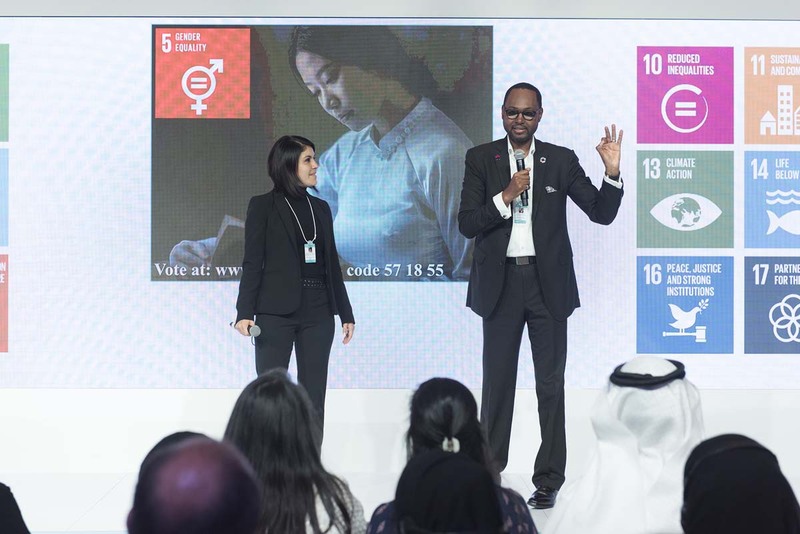 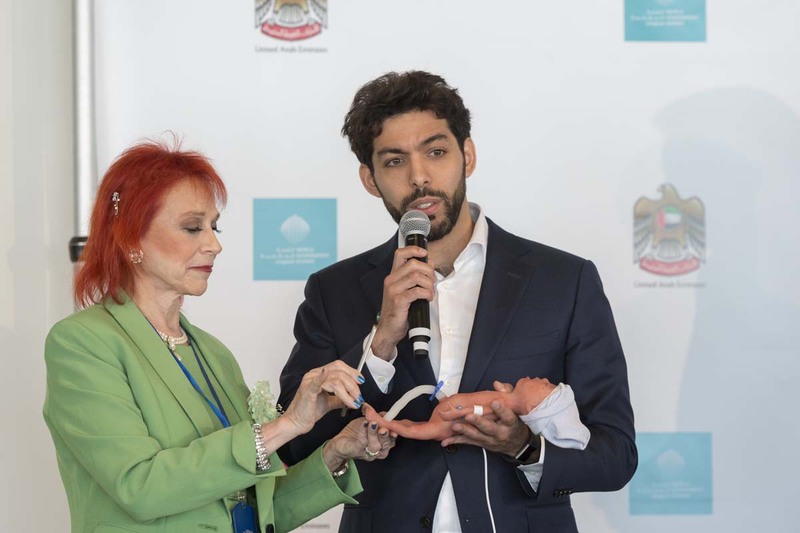 With 2016 marking the initial period of the 15-year implementation of the 2030 development agenda, the UAE is one of the first hosts to global events on SDGs, convening dialogues with thousands of top government officials from over 90 countries,the United Nations, global development actors, and various sectors of society at the Summit. 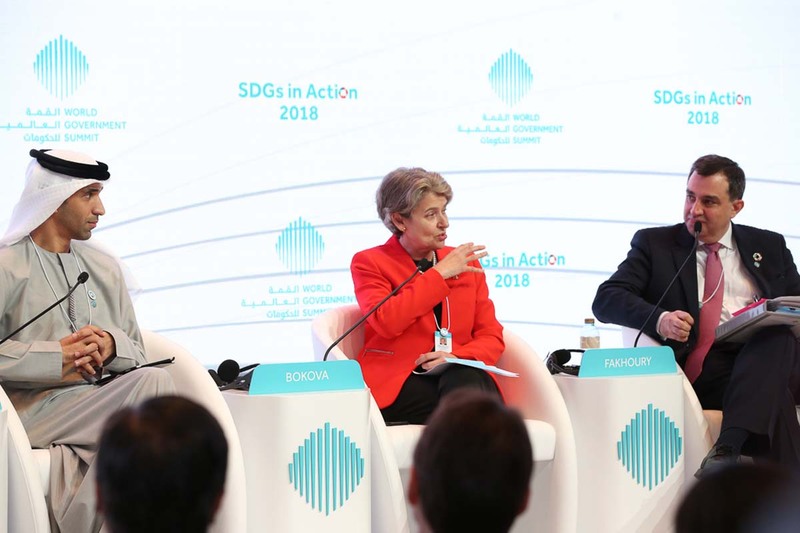 “SDGs in Action” at the World Government Summit was held within the first six weeks of the 782-week implementation timeframe of the 2030 development agenda. 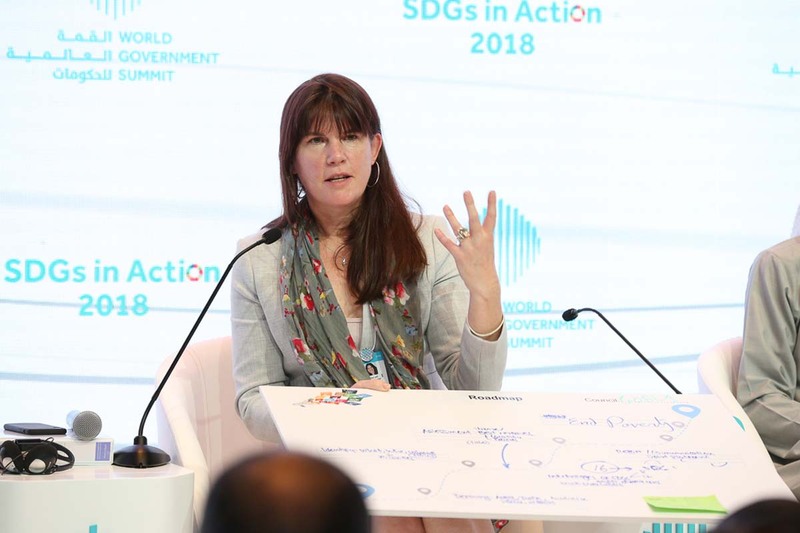 "Launched at WGS 2018, the SDG’s Global Councils is a unique interdisciplinary network of decision makers from governments, international organizations, academia, and the private sector coming together to share innovative practices and discuss possible creative implementations for the SDGs, at national and global levels. 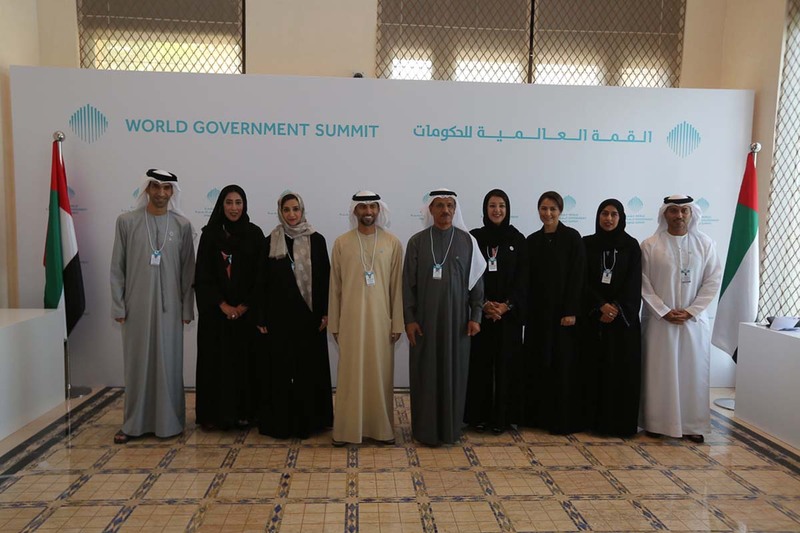 Each Council is chaired by a high-level representative from government or an international organization. 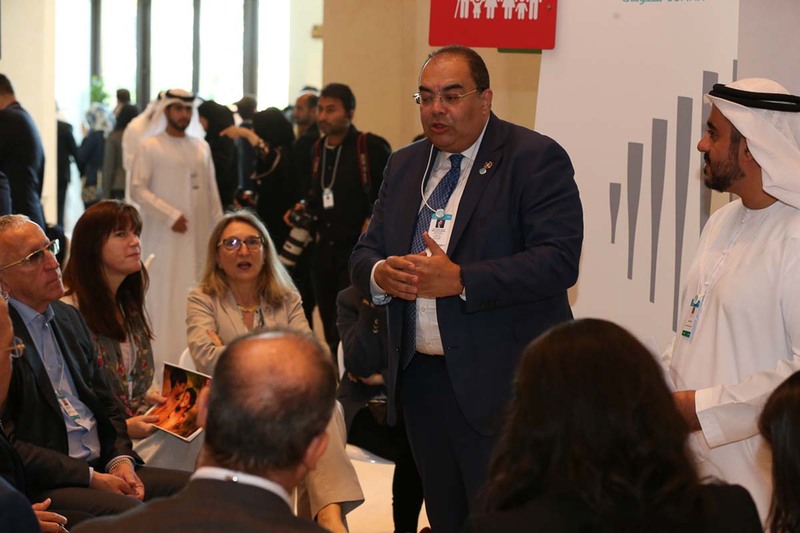 In their strive to implement innovative solutions, and integrate their findings into the United Nations and other global fora on SDGs, the Councils are obliged to create new partnerships between countries and organizations. 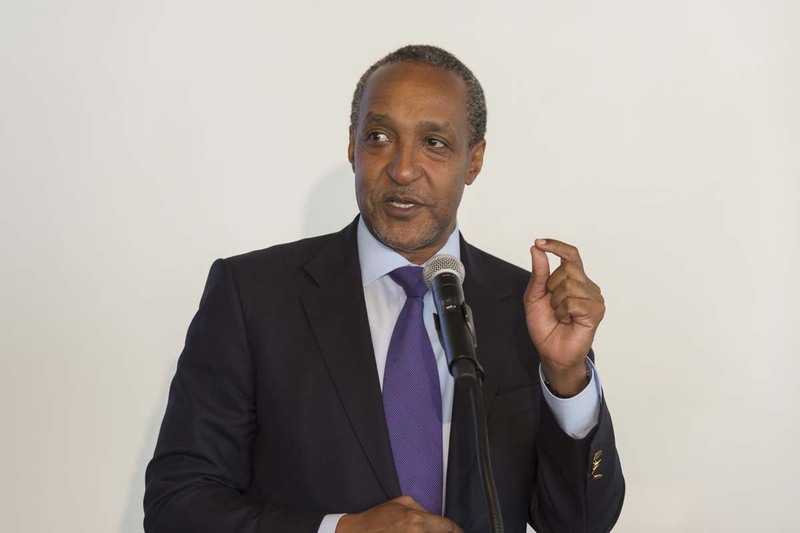 The Council Chairs operate over a two-year term, where the first year focuses on concept and plan development, and the second year focuses on implementation of ideas. 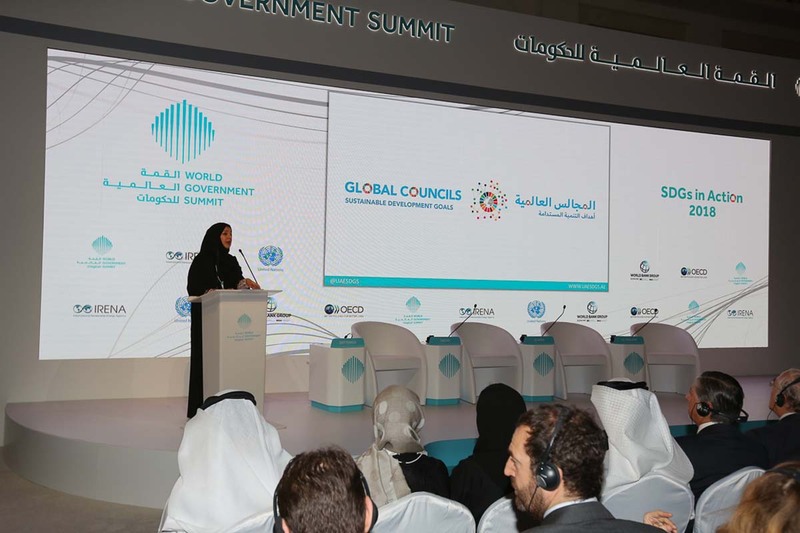 Each Chair acts as a champion for the Council, and communicates the Council's discussions and outcomes across a range of international fora, particularly at the annual World Government Summit." 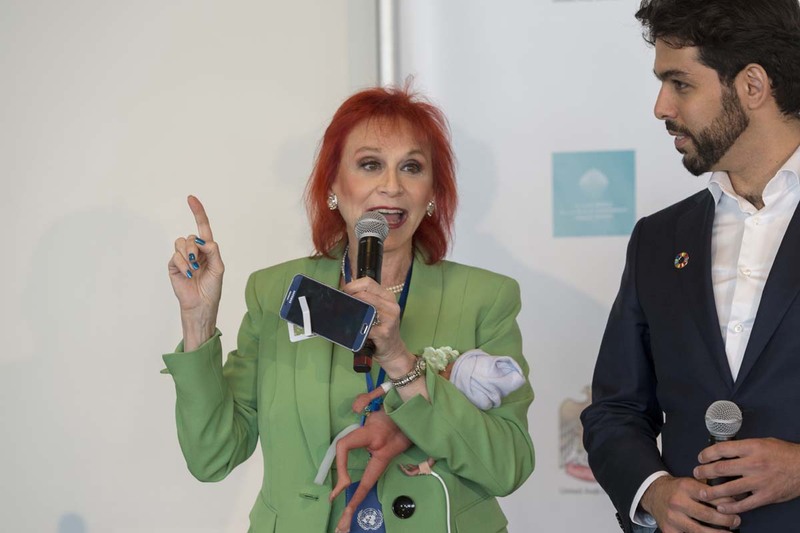 "The 2030 Agenda for Sustainable Development, adopted by all United Nations Member States in 2015, provides a shared blueprint for peace and prosperity for people and the planet, now and into the future. 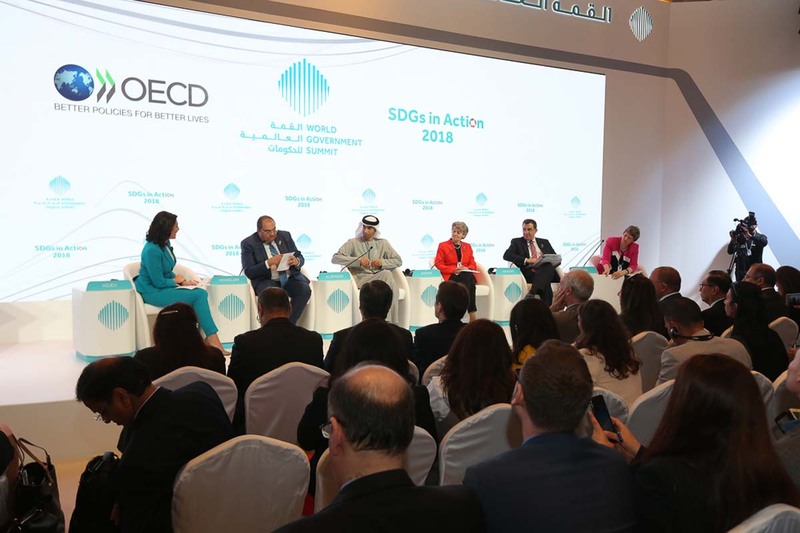 At its heart are the 17 Sustainable Development Goals (SDGs), which are an urgent call for action by all countries - developed and developing - in a global partnership. 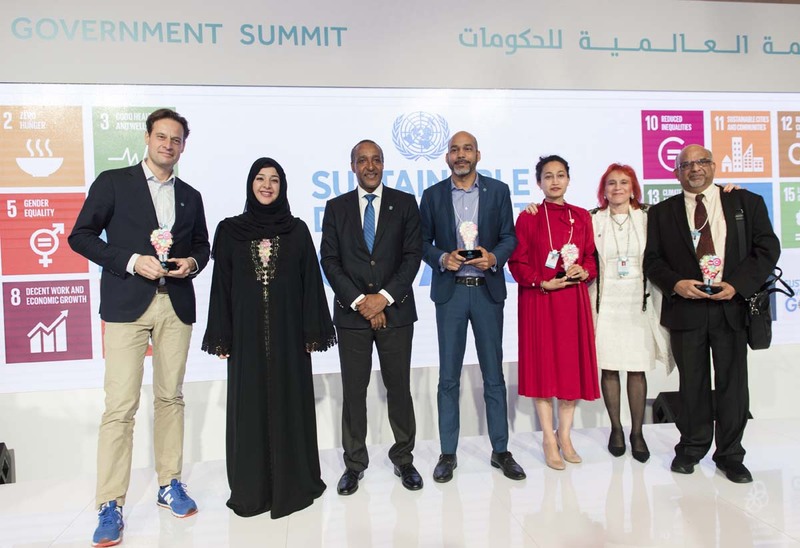 They recognize that ending poverty and other deprivations must go hand-in-hand with strategies that improve health and education, reduce inequality, and spur economic growth – all while tackling climate change and working to preserve our oceans and forests. 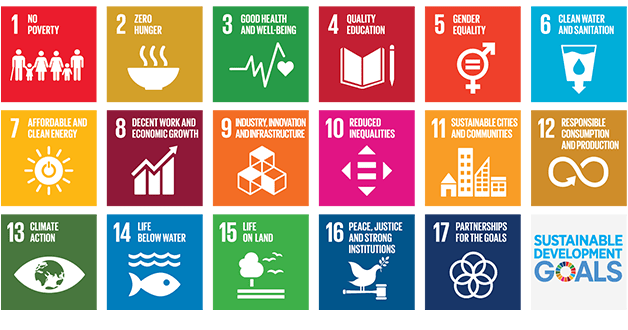 To read more about the Sustainable Development Goals, please click below"